Conceived for architecture08 festival, this project was centred around a music commission that would respond to the atmosphere and dynamics of an architectural interior. 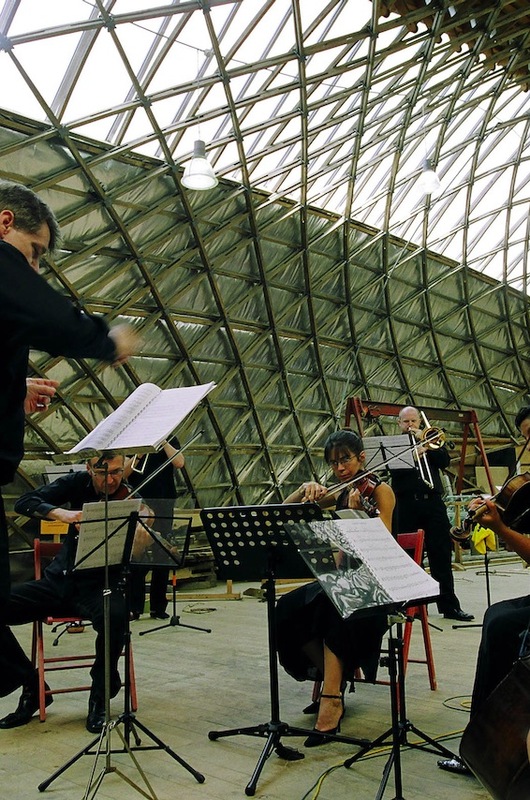 Composer Peter Copley was invited to undertake the commission and created a piece of music entitled Gridshell Symphonies. The work is written for four trombones and a string quartet. 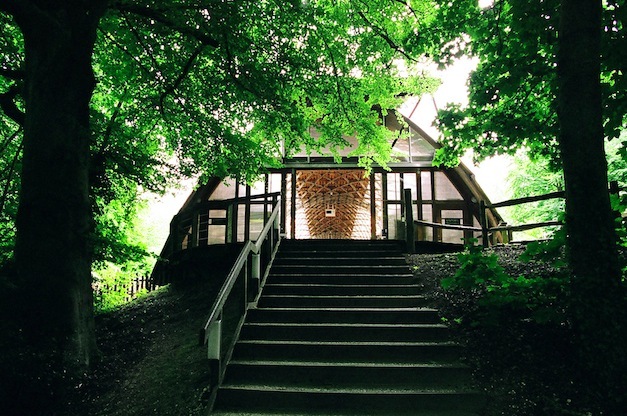 The building selected for the project was the Downland Gridshell, at the Weald & Downland Open Air Museum in Singleton, near Chichester; designed by Edward Cullinan Architects. The award-winning lightweight oak structure is effectively an outsize workshop where historic timber-framed buildings can be laid out for conservation and repair. 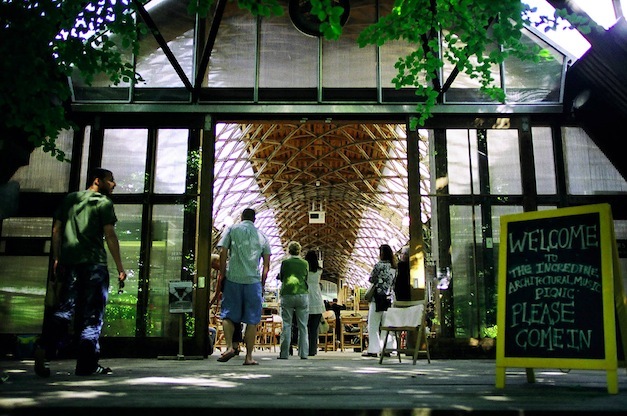 The building is one of a small number of gridshell structures in Britain, and its design and method of construction are unique. A high degree of carpentry skill went into its fabrication, emulating in a highly contemporary way, techniques used in the traditional framed buildings restored elsewhere in Weald & Downland Open Air Museum. 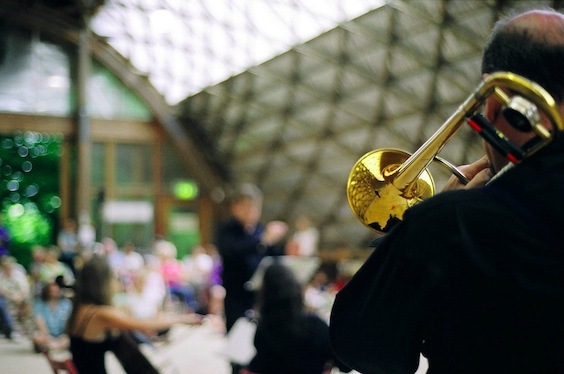 On Sunday 29 June, audiences were invited into the cathedral-like interior of the Gridshell to hear performances of the new composition at an all-afternoon event entitled The Incredible Architectural Musical Picnic. 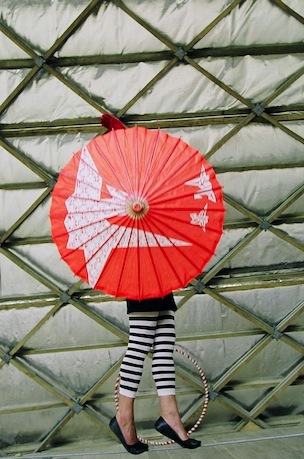 The event combined the premiering of the new work with entertainments for children and families. "The word 'Symphonies' is used in its original sense of a 'sounding together', rather than its more common recent usage. 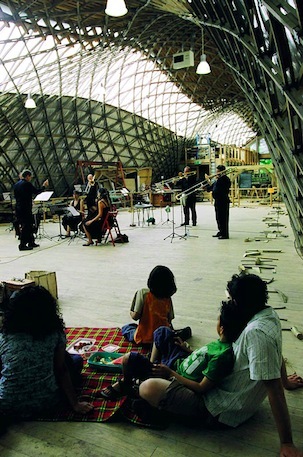 The work is intended as a response to the gridshell design of the building and to mirror its use of traditional techniques in a non-traditional context. 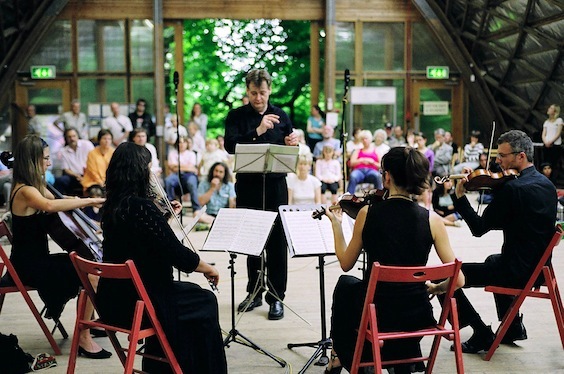 Traditional musical techniques include canon, fugue, passacaglia and embellishment." The composition used a spatial plan in the way it was performed with the trombonists arranged in an arc around the string quartet. 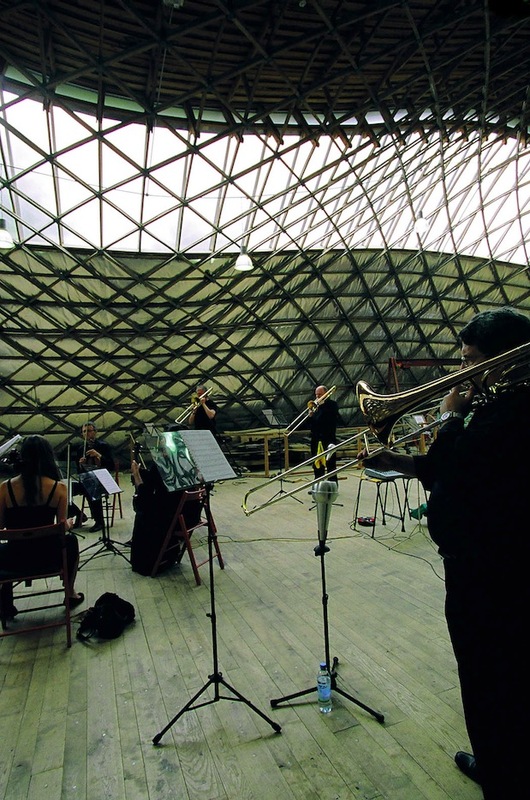 Two premiere performances of Gridshell Symphonies were given within the Jerwood Gridshell Space on Sunday 29 June. 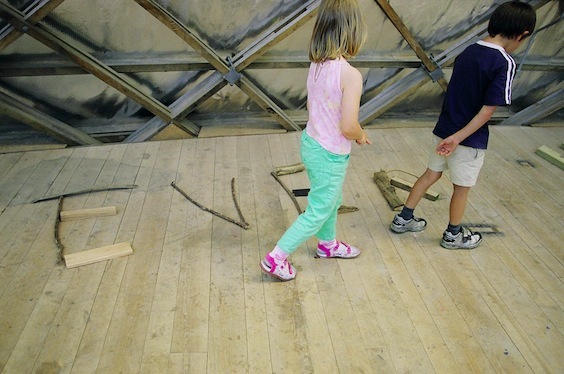 The first was introduced by Steve Johnson, the architect primarily involved with the construction of the Downland Gridshell. Sarah-Jane Blake introduced subtle interventions into the way ad hoc working materials were configured within the space on the day of the first performance and a line of text by Mark C. Hewitt - written in response to the richly melancholic moods of the musical score - was laid-out in scraps of wood and other items around the perimeter of the 'auditorium'.